Any military leader knows how important it is to have proper coordination on the battlefield. If one group of soldiers doesn’t support the flank of another, the enemy can get around and attack from the back. This need for coordination is just as apparent in today’s small and medium-sized busineses (SMBs). If some computers are protected and others aren’t, attackers can still get in and cause damage, stealing valuable information and disabling systems. One up and coming SMB recently realized their vulnerability as they assessed their security situation. Over the past 14 years, CD Baby has grown from a garage-based business to one of the largest online retailers of independent music in the world. As the company grew, so did their concern about inconsistently applied protection on their computers. With an increasing office staff, as well as more and more artists around the world accessing their business resources every day, Tom Beohm, IT manager for CD Baby, realized it was time for everyone to be on the same page with security. “We pride ourselves on our excellent customer service, helping musicians globally distribute their work,” Beohm says. “As part of that commitment, we have to keep our services up and running, which we can’t do if we’re infected with malware.” As they considered their security options, they had to keep in mind that many of our employees are not particularly tech-savvy, meaning that the key was to find a security product that was robust and was simple to deploy and manage, with an easy-to-use interface. Beohm had used Symantec security products in the past, and he felt that their solutions provided the highest level of protection while delivering an intuitive interface. 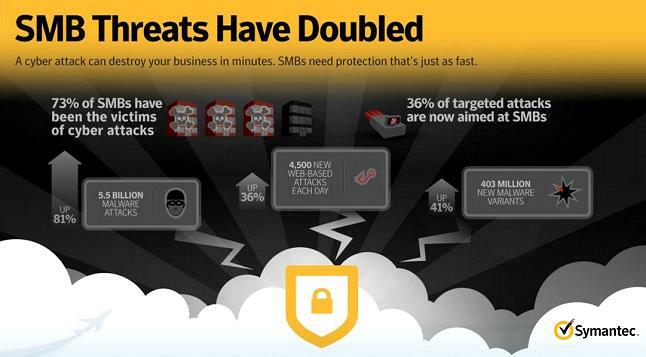 With some of their computers already running Symantec security solutions, they decided to deploy Symantec Endpoint Protection Small Business Edition business-wide, to centralize their security operations. With the implementation in place, they noticed an immediate savings in the time needed to remediate security issues – the proactive protection is far easier to maintain than dealing with malware infections as they occur. As an SMB with limited IT resources, this is especially important. “With Symantec Endpoint Protection’s ability to automate dealing with malware, we can just set it and forget it,” Beohm notes. The management server notifies administrators of issues that arise, but doesn’t wait to contain the threat. In addition, SEP takes a proactive approach to keeping protection up to date. It will not only automate the update process, but it will also notify administrators if a user is not getting updates, which can alert them of technical problems that may have gone unnoticed. In addition to keeping their endpoints safe for the music side of their business, Symantec Endpoint Protection has also proven its value to the Book Baby division, which provides self-publishing services to writers around the world. One of their partners frequently sent files to BookBaby that were infected with malware, but with SEP they were able to remove all of it without any of their machines becoming infected, and bring the problem to the attention of the partner for resolution. Small businesses today face the challenge of keeping their systems and information safe without the resources of a large enterprise. With Symantec Endpoint Protection Small Business Edition in place, CD Baby is able to focus their attention on their core business, knowing that their users are united on the security front.